In the Fall of each year St Mark Lutheran Church holds a major event to fund many of the needs of our pantry outreach program, The "Will Dance for Food" Charity Benefit. 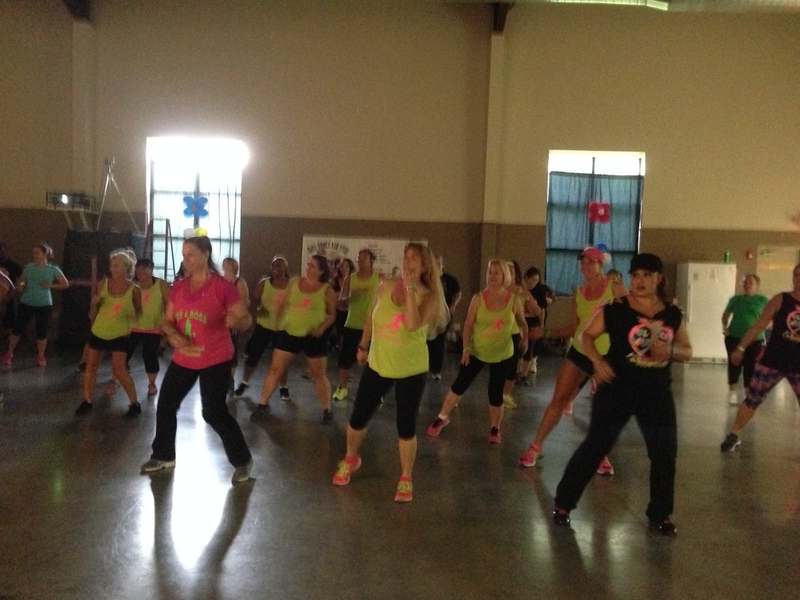 For the first 3 years our main event has been a Zumbathon, which has been wildly popular. 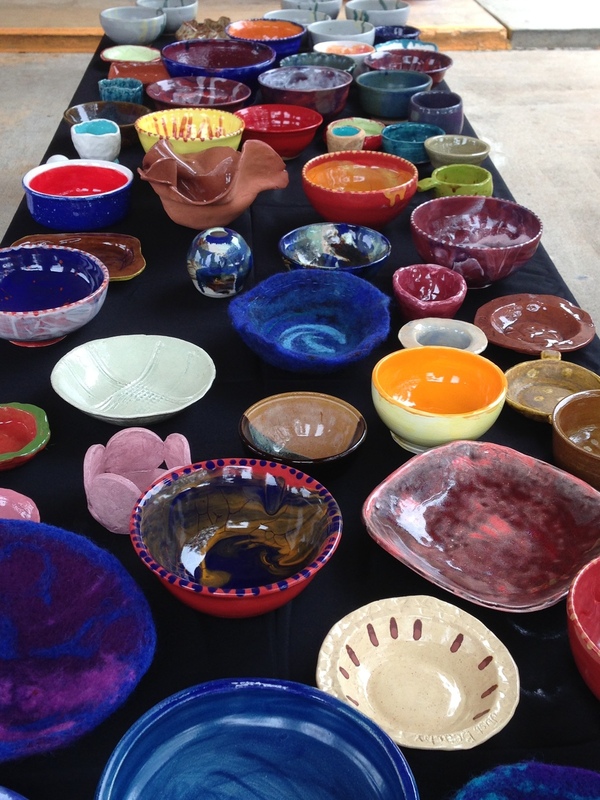 For the 4th annual event in 2014 Brazosport Empty Bowls was added. 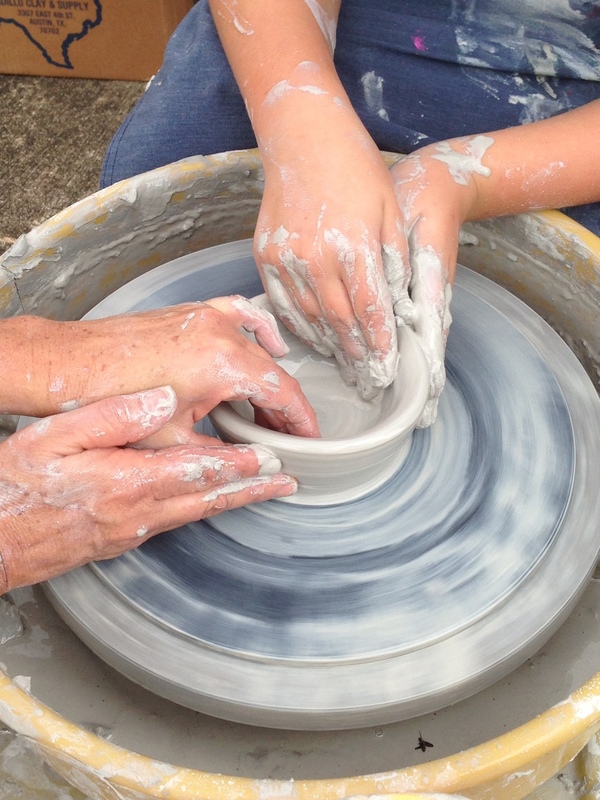 We value the participation of companies and individuals who believe in the mission of Brazosport Cares! We thank you for your support through the years, and welcome new sponsors. You have made it possible to feed families! If you, your family or your company would like to receive information on becoming a sponsor of "Will Dance for Food" or any of our events throughout the year, please give us a call at (979) 239-1225, use the form on our Contact Page. We can also set up an appointment to meet you at the pantry at 916 North Gulf Boulevard, Freeport, Texas 77541. In the Fall of 2014, St Mark hosted a very successful event, raising over $27,000 to further our work here at Brazosport Cares Food Pantry. We are so grateful for the response from our caring community and valued sponsors. The success of this year’s event could not have been possible without the support of many sponsors and contributors. 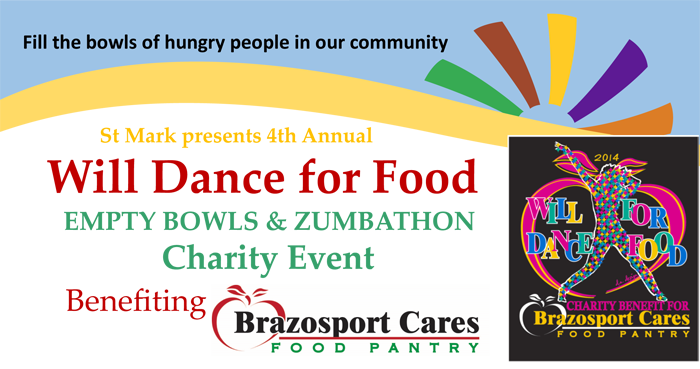 Brazosport Cares Food Pantry would like to extend a huge thank you to YOU, as your contribution has truly made a difference for many, many families as they work to restore their lives.